Happy New Years!!!!! 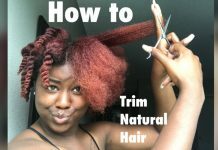 On fbk and ig many of you left natural hair methods and trends to mk sure we ditch cause you felt was it team too much! Must we have 3 inches of edges laid and cemented to our forehead? 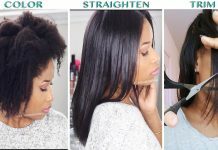 Must lace wig be your form of identity? Must 4c hair chicks use a entire work shift to do a wash n go? Can we start seeing as all hair types and textures being equally beautiful? 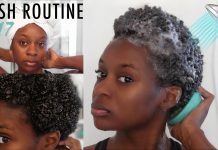 Is it even possible not use a whole day on wash day? Rinse out conditioners is to be rinsed out right? Check out the roasting of these trends and methods. This is all in fun and I hope you finish this video off in complete laughter! Go ahead and leave your comments on trends u want to add.Thanks for rocking with me!